We pride ourselves on offering affordable roofing services that our customers need. A Sheffield based company providing roofing services in Sheffield, Derbyshire, the Peak District and surrounding area. 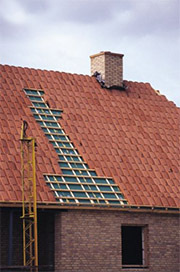 All of our roofers are experienced and knowledgeable employees with many years roofing experience. We are confident we can provide the solution to suit your needs and budget. 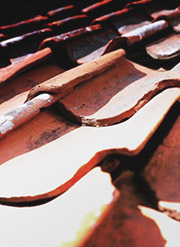 You can rest assured of professional, reliable roofing services. In addition we are always happy to supply details of previous work for the purposes of obtaining references. The range of Sheffield roofing services and works we cover includes complete re-roofing projects, minor roof repairs, replacement guttering in steel, aluminium, cast iron, timber & pvc. Commercial and public authority projects. All work undertaken is fully backed by the company "Guarantee of Service". To obtain further information about the roofing services the company offers in and around the Sheffield area or to collect references please visit the contact us page. We look forward to hearing from you soon. Whether you’re looking for ways to improve your commercial property, home’s energy efficiency or for the best gutter-cleaning methods, we can help. To obtain a no obligation quote for your roofing project or simply to discuss possible roof repairs or enquire about the Sheffield roofing services we offer, vist the contact us section of this Sheffield roofing company website. James Lucas Roofing Services, 19 Crimicar Lane, Sheffield, S10 4FA.